The EM Recirc™ oven bakes pet food and a wide range of biscuits. Heat transfer style can be varied in each zone from fully radiant to fully convective or any combination in between. This unique flexibility means that the baking profile can be tailored exactly to the product. 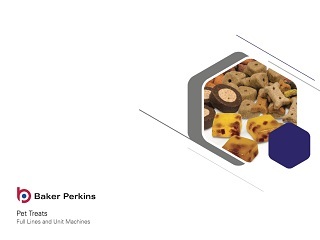 Convection baking is well suited to drying and baking thick products typical of the pet food industry. The unique flexibility and traditional baking characteristics of the Recirc™ oven has earned an unparalleled reputation for versatility, baking quality and dependability. Hundreds of installations have been completed over 40 years. The latest ovens feature improved ductwork, higher airflow and enhanced controls to enhance consistency and reduce bake time. Touch-screen operator interface provides full process visualisation; intuitive operation; recipe control; and advanced alarm handling. The system can be integrated with upstream and downstream equipment, as well as higher level systems such as SCADA. This is used to provide accurate, real time information. 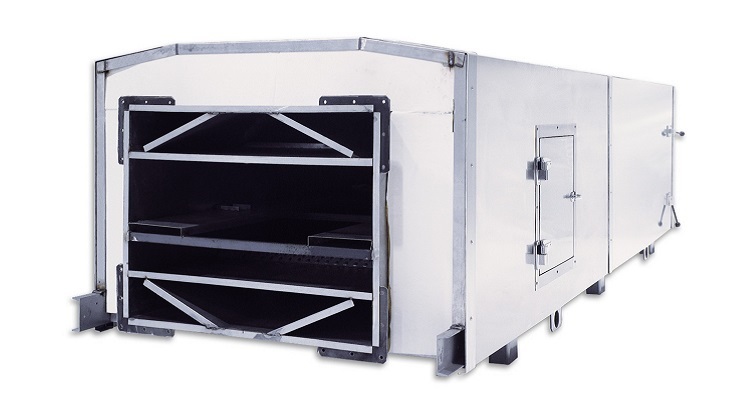 Oven design eliminates areas where dust and debris can collect. The outer case is a single panel to minimize the number of crevices. The oven and cleanout doors offer excellent access for servicing. Exhaust fan and burner gas train are located on the oven side to improve access. The circulating fan is a standard component for ease of replacement. The number of high maintenance parts is minimized, and all are within reach from ground level. New oven modules can be installed to improve performance and extend life of existing Werner Lehara and Baker Perkins Recirc™ ovens. These modules bring improved baking, sanitation and maintenance.